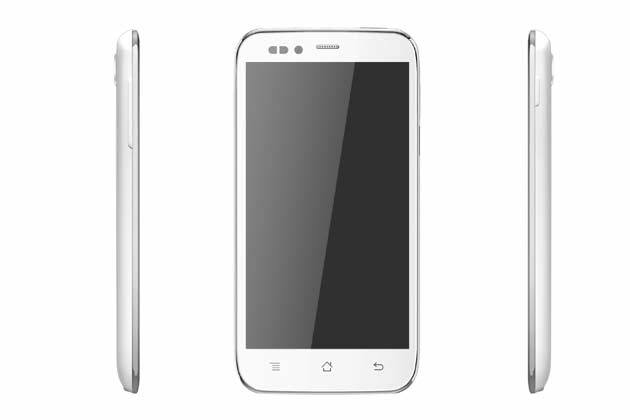 Being announced for launch in March, 2013 and released in May the same year, the Karbonn S5 Titanium is a popular smartphone thanks to its light weight (of 200 g), IPS LCD capacitive touchscreen of 16 M colors and 8 megapixel camera. You must know that, even though it was designed to be a powerful smartphone, this device can freeze after a while and work at a slower pace. However, there are ways in which you can make sure all problems disappear and get your phone working at an optimal level in no time. If you wish to hard reset the Karbonn S5 Titanium to factory soft, then you should note that this process will not take more than a few minutes. Follow this guide in order to begin this easy procedure. The above-mentioned phone has an Android OS, v 4.1 (Jelly Bean) operating system and runs on a Qualcomm MSM8225Q Snapdragon processor. Furthermore, it is worth noing that this device has a total of 4 GB internal memory (1 GB of RAM). What is more, it has a lot of interesting features, including geo-tagging, autofocus, LED flash, accelometer and proximity sensors, Java MIDP emulator and so on and so forth. If you want to pass your device to someone else or need to solve the irritating performance problems in the comfort of your own home, then you should note that an ingenious, yet simple procedure such as software refresh can enable you to get your Karbonn S5 Titanium up and running in no time. You need to keep in mind that restoring your phone to its initial settings can automatically imply losing all your data, including your music, your videos, your pictures, files and so on and so forth. This is why it is of utmost importance to do an online backup. This can be done on a SD card, external device, hard drive or raid system media. Tap Application Drawer, then APPS tab. Go to Settings and select Backup & reset. Click on Factory data reset. Tap on the Erase everything option. The second method of hard resetting your Karbonn S5 Titanium is by using its buttons. Here is what you need to do. Turn on the device by pressing and holding the Volume Up key and the Power button until the phone starts vibrating. When the Android system recovery screen appears, release the Volume key. 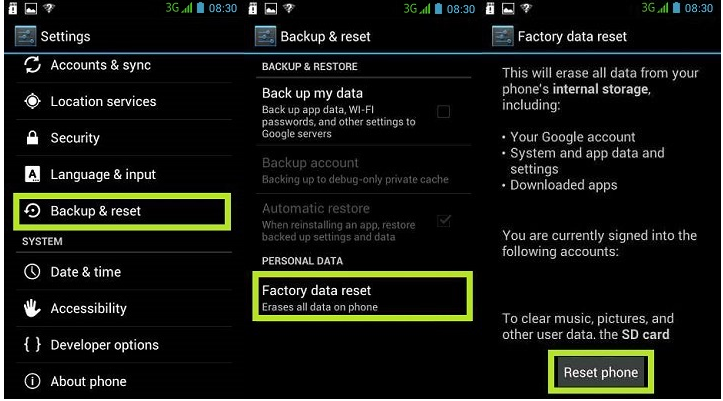 Highlight the wipe data/ factory reset using the Volume key and confirm by pressing the Power button. Select Yes- delete all user data.